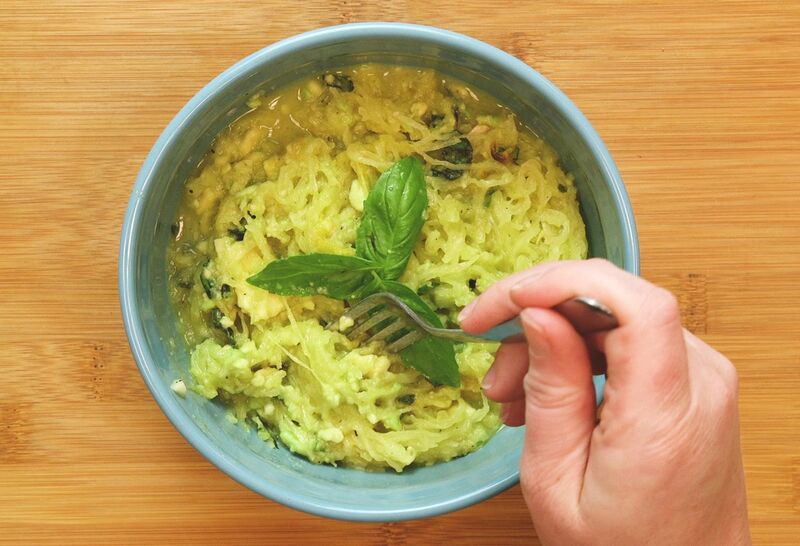 We all know overloading on pasta isn’t ideal, but sometimes it seems like the easiest dinner option after a long day – until spaghetti squash entered the scene! This unique fruit (yes, it’s a fruit!) is surprisingly delicious and simple to prepare, and it offers fiber, protein and healthy fats, which are good for your heart and have cancer-fighting powers. So ditch the pasta tonight, and try our creamy spaghetti squash and avocado pesto recipe instead. It has only 91 calories per serving, so you can enjoy a guilt-free second helping! Poke holes in squash with a fork and heat in microwave for 5 minutes (or until piercings start to bubble). Drizzle squash with 1 tablespoon olive oil then roast at 400 degrees on the center rack for 40 minutes. Mash avocado together with remaining olive oil, garlic, lemon juice and basil with salt and pepper to taste. 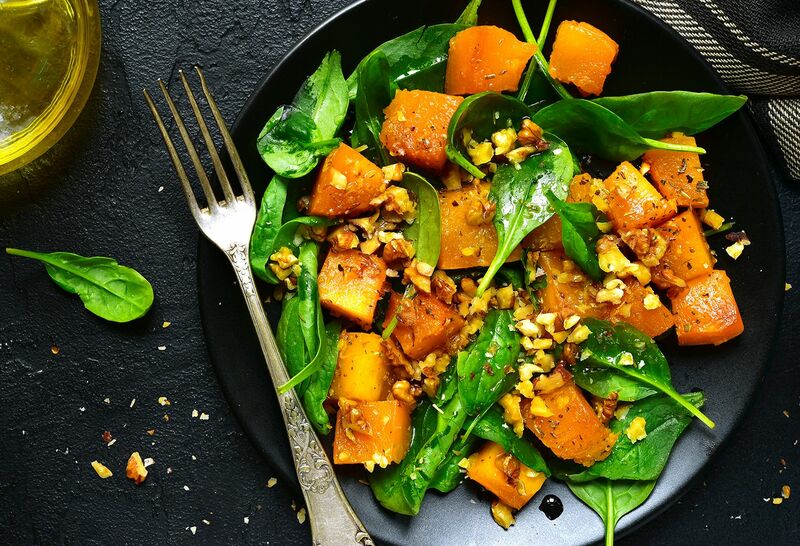 Combine avocado mixture with squash and enjoy.